Make Me Move – Are You Serious? Take a look at this image below, what do you see? Am I missing something here? 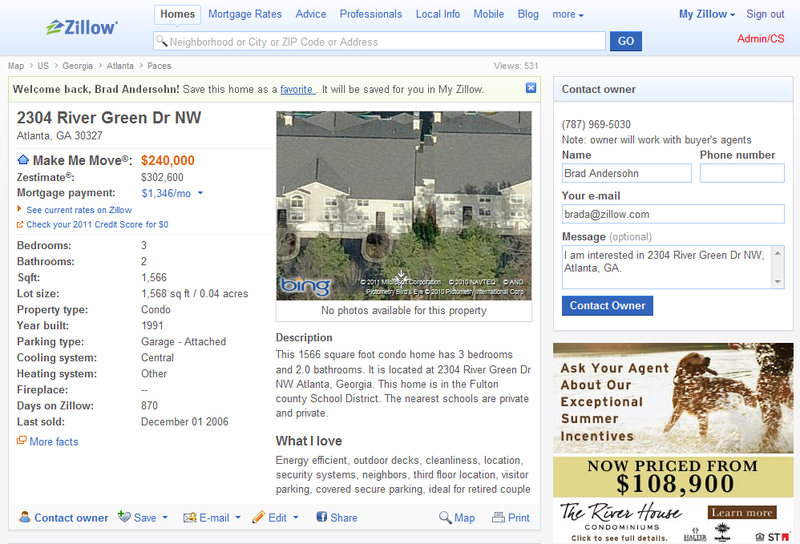 This is right from the Zillow search results for Atlanta, Georgia and if I’m not mistaken, this person has gone into the publicly accessed site and made some changes that I would find very interesting if I was a local agent or REALTOR representing that area. Some of you reading this right now may get what I’m trying to say here right out the gate. Others may have to study the image a bit longer to understand the “value and opportunity” I’m trying to present and propose to you here, and some of you regardless of how long you look at and study this image, will never understand the point of the image or this post and that’s OK too! No matter what, the main point here is that there are so many opportunities and possibilities on Zillow, you just have to be open to them, keep your eyes open and your wits about you, and then really take the time to look “deeper” at the site from a different perspective and angle. Let’s face it folks, if you’re not spending time in it, how can you ever really be “on it” ….